Semi-Automatic Sheet Heat Sealer | Tamar Laboratory Supplies LTD. When the unit is left idle it automatically switches into standby mode, during which the temperature of the heating element is reduced to 60°C to save energy. When the sealer is left idle for longer periods it switches off automatically for added safety. The times at which the unit switches into standby and switch off modes can be adjusted to suit the user’s needs. 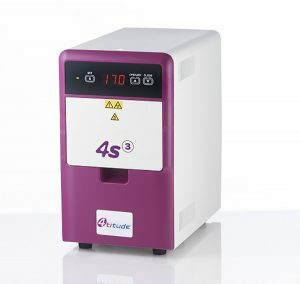 4titude® offer the largest range of sealing films and foils. To find out more information on 4titude’s heat seal range, Click Here.